The Trump administration will scuttle an Obama-era clean power plan aimed at reducing greenhouse gas emissions. The administrator of the Environmental Protection Agency, Scott Pruitt, made the announcement in Hazard, Ky., on Monday, saying the rule hurt coal-fired plants. "The EPA and no federal agency should ever use its authority to say to you we are going to declare war on any sector of our economy," Pruitt said, speaking at an event with Senate Majority Leader Mitch McConnell of Kentucky. "That rule really was about picking winners and losers," the EPA administrator said, adding that the rule change would be signed on Tuesday. The announcement had been anticipated. It would eliminate the Clean Power Plan that was put on hold by the U.S. Supreme Court and therefore never implemented. A draft document obtained by NPR and other outlets says the administration will also issue an Advanced Notice of Proposed Rulemaking "in the near future" to take comments on whether and how it should replace the CPP. According to The Associated Press, the EPA is "expected to declare the Obama-era rule exceeded federal law by setting emissions standards that power plants could not reasonably meet." 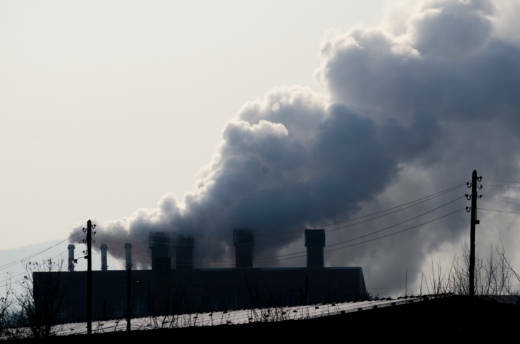 Coal-fired power plants generate roughly 40 percent of the electricity globally, but generate more than 70 percent of the carbon dioxide, according to the International Energy Agency. The vast majority of scientists worldwide say that carbon dioxide is a leading contributor to climate change. President Trump, however, has called climate change a hoax perpetrated by China to make U.S. manufacturing non-competitive, but he also said he had an open mind toward efforts to control it. In June, Trump announced that the U.S. would pull out of the Paris Accord, an international agreement that set a limit on greenhouse gas emissions. At the time, the president said staying in the deal, which is aimed at capping average global temperature increases, "could cost America as much as 2.7 million lost jobs by 2025" and would cause the loss of close to $3 trillion in GDP. However, the claims of potential job losses have been disputed by economists and climate scientists.